For your fire safety officers, first aiders, vehicle breakdown, mountain rescue, or visibility and protection of schoolchildren. Make it easier to spot your people in an instant – day or night – with Glow in the Dark Safety Armbands from Innova Solutions. Your safety measures are more effective when you can easily identify those who carry them out. That’s why there’s more to NovaGlow armbands than photoluminescence. They glow in the dark and reflect incidental light too. So day or night, they make it easier to be seen. Co-ordinate drills and emergency evacuations more effectively by making it easier to identify your fire marshals and wardens. Make it easier to find your first aiders and you make it easier for those who need their help. For winter home-times, school trips and classes held beyond the school gates, make it easier to keep the class together, and your children safe. Keep operatives and their clients safer on night-time rescues. Why NovaGlow reflective & photoluminescent armbands? Fire Warden, First Aid, Fire Officer legends as standard. Ask us to create your custom legend for schools and other uses. 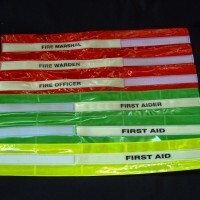 The hook and loop fastener means emergency responders can secure their photoluminescent armbands in seconds. 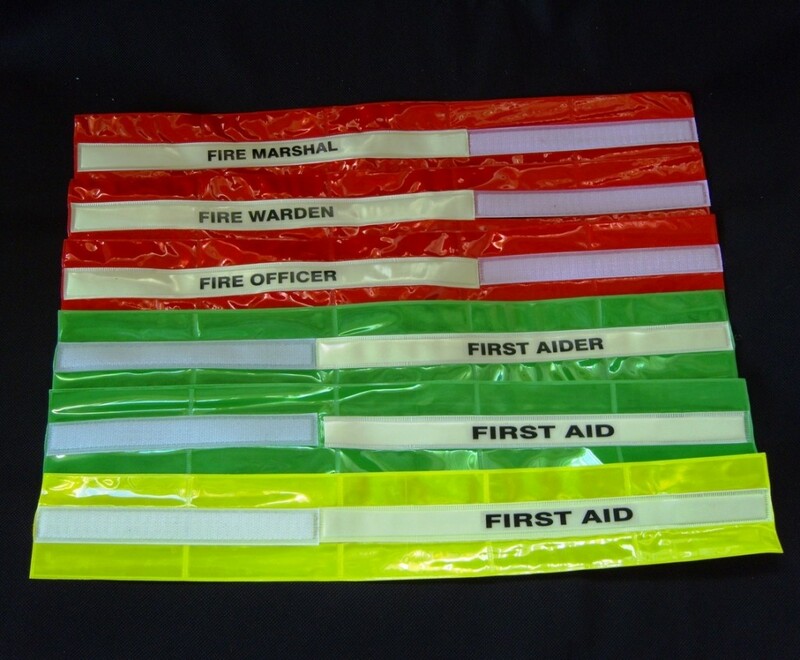 Choose bright retro-reflective reds, yellows or greens for excellent visibility both day and night. PSPA Class B: The Photoluminescent Safety Products Association classifies NovaGlow armbands as high performance when the photoluminescent pigment is fully charged by a light source. How does a photoluminescent product work? What are Photoluminescent products?